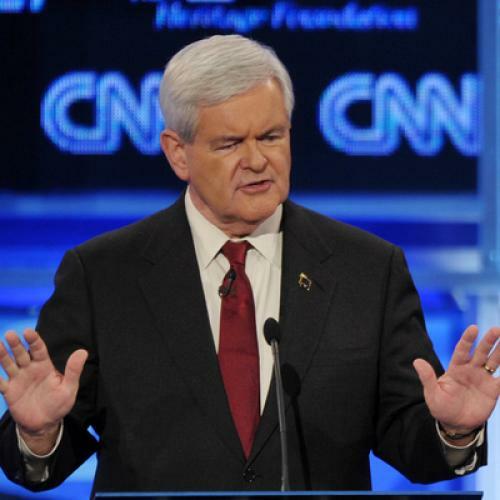 One of the better points made during last night’s GOP foreign policy debate actually came from Newt Gingrich, who said it would make no sense to attack Iran’s nuclear program outside the context of regime change. That’s right. If we simply hit the centrifuges and run, they’ll be back spinning in two years and we’ll be in an open war with Tehran, with all of Iranian society backing the regime. If we truly conclude that an Iranian nuke in the ayatollah’s hands is too dangerous to live with, and there’s absolutely no alternative to military force, then we have to try alter the underlying dynamic by uprooting the government too. War being what it is, we’d probably be dragged into an attempt at regime change anyway during a protracted standoff. That doesn’t mean any of this is a good idea. The costs of an attack would be chillingly high—so high, in fact, that the United States will probably fold, cross its fingers, and try to contain Iran instead. But Newt’s point stands that an attack, if attempted, should logically be paired with regime change. It’s something in his favor at least.